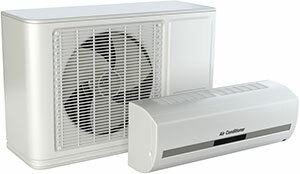 Split system air conditioning provides one of the most economical and versatile ways to cool and heat your home. With an indoor unit on the wall and minimal electrical wiring connecting it to the outdoor unit, it can be very unobtrusive, offering clean and quiet operation throughout the year. Split system air conditioning is more than just a method of cooling rooms in your home or business premises. The systems are designed to provide cool air in the warmer summer weather and sufficient heat when it is colder. This eliminates the need for purchasing a separate heater and air conditioner, providing a viable option for those with a more restrictive budget. Split System units have the capacity to lower the temperatures in small to medium rooms or areas, even in the challenging conditions of a Perth summer. There is an air handler located inside the wall unit, while a condenser unit is placed outside. Typically, the condenser unit has the capacity for several air handler units to be hooked up, allowing you to cool multiple areas. Loud Operation: Split system units are designed to operate quietly, so if you notice that the equipment has started to make a louder noise when you turn it on, it is likely a problem is developing. You should be very aware of any grinding or rattling noises, which can indicate that there is a loose or worn component preventing the unit from operating correctly. Your Energy Bills Have Increased: We all complain about the increasing cost of our energy bills, but if your bills have spiked for no apparent reason, it could be because your split system is not operating correctly. Heating and cooling accounts for the greatest percentage of domestic energy bills, so improperly functioning equipment can have a significant impact on your bills. If you have a repair issue or are in need of a split system air conditioning service, Perth property owners should contact us. 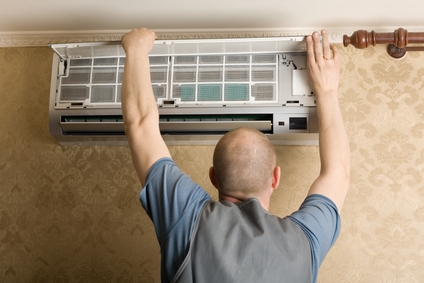 The Air Cair team has experience in all aspects of split system air conditioning repairs and servicing. We are also available to address any queries you may have. 6364 5174 for your service enquiry but encourage you complete the form, this will minimise unwanted delays attending your service requirements. General Service for Ducted, Evaporative and Refrigerated Wall type Splits: add $50.00. Complete & Send… We’ll contact you back. We welcome your call on 63645174 for your service enquiry but encourage you complete the form, this will minimise unwanted delays attending your service requirements. Complete & Send… We’ll contact you back within 30 mins. © 2019 AirCair · Website designed and built with by Dilate.